Starting your PME or MGO course in Galway and looking for affordable accommodation? We offer student accommodation where you only have to pay for the blocks you’re in Galway as per your PME / MGO timetable. Sunday – Friday: starting from €90 per week. Check in Sunday evening, check out Fri morning, €100 per person per week! 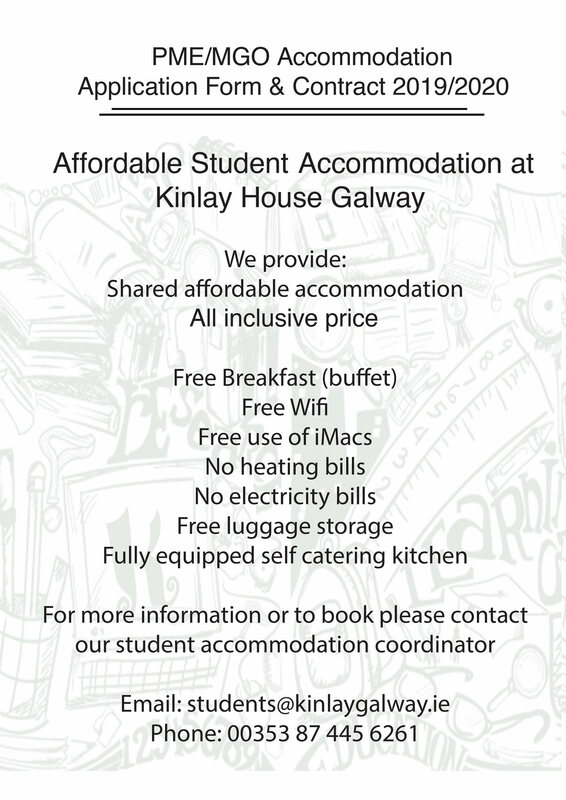 Kinlay Hostel really made the year for us in Galway. Very comfortable, central and cheap, you couldn’t be in a better place. We were like a proper family leaving.